We are back! We had a small respite from last year but 10’s are back on for 2019! We are shooting for May 11th as the date (tbd). 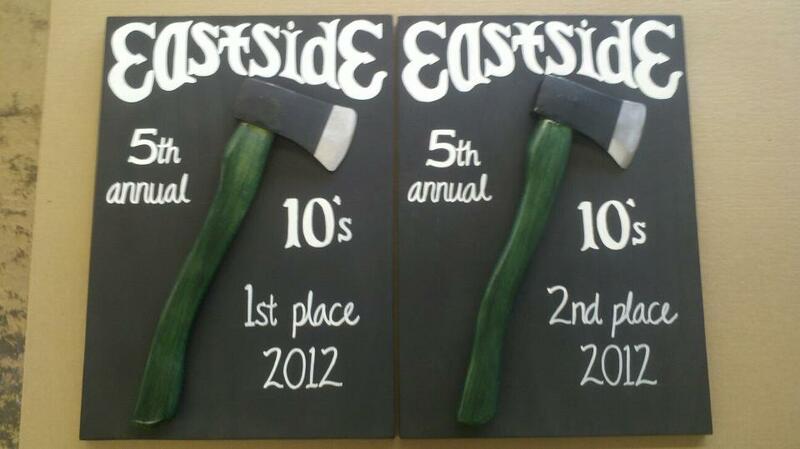 Eastside Rugby hosts a pre-summer Rugby 10’s tournament in the Pacific Northwest. The tournament is held between the end of 15’s league play and before the Summer 7’s season. We host the tournament at Marymoor Park on fields 7 & 8. This all day event has 10 teams participating with at least 4 matches for every team involved. We normally have a healthy mix of teams from our league, college sides, college alumni sides, and teams from out of our league. If you’re new to 10’s rugby it is played generally along 7’s rugby rules but with a 5 man pack, a scrum half, and a 4 man back line. Matches are two 10 minute halves with a 2 minute half time. Rolling subs are allowed during all but Championship matches. This tournament always has a great deal of good rugby but is also a very social and fun day. We will do a Fastest Man contest, Spirits Raffle, and prizes for top contenders. It is an invitation tournament but if you are interested please reach out to us on our contacts page with your team name. To pay for the tournament, please use the PayPal button below to pay registration fee.